The fight to become a top-ranking site in search engines had compelled many site owners to play dirty for a few years. From paid links and keyword stuffing to spam comments and invisible text, people used to manipulate their techniques in such a way that they’d be guaranteed one of the top-ranking positions in search engines. However, changes in Google’s algorithms have ensured that sites making use of these techniques will get penalized and delisted. With these changes, site owners can now ensure better ranking with the help of healthy, white hat SEO techniques. At the same time, playing it clean comes with its own set of consequences, as it gets much more difficult for sites to get ranked in search engines. This is where influencer marketing comes into play. Influencers help in raising brand awareness and promoting products more effectively than paid advertising. Influencers can also prove to be a boon for your SEO efforts. 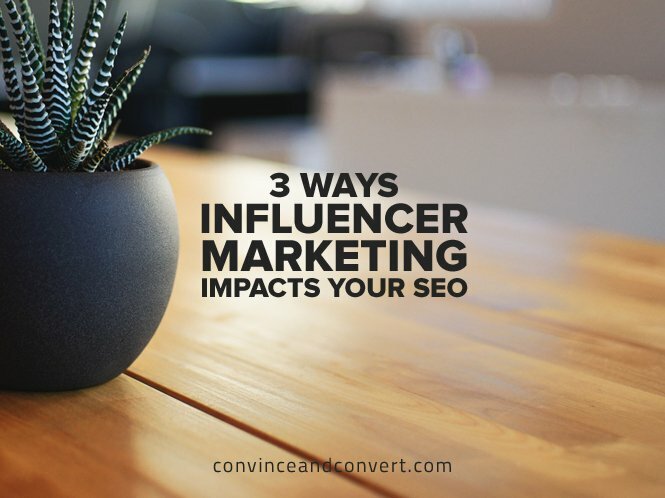 Take a look at some of the most significant impacts influencer marketing has on your SEO. The quality of your link profile has a huge impact on your search engine ranking. Your link profile comprises of backlinks and internal links alike. According to a study conducted by Moz, the quality and authority of sites that link to you are among the top search engine ranking factors. This means you’ll need to earn links from high-authority domains relevant to your site, but that’s not an easy thing to do. Working with influencers is a great chance to generate better natural backlinks for your website, further improving your site ranking. There are a number of ways this can happen. If you work with influential bloggers or influencers with their own website, it’s likely that they have a site of their own or that they have access to various high-authority sites. When these influencers create content and link to you, this generates a high-quality backlink for your site. 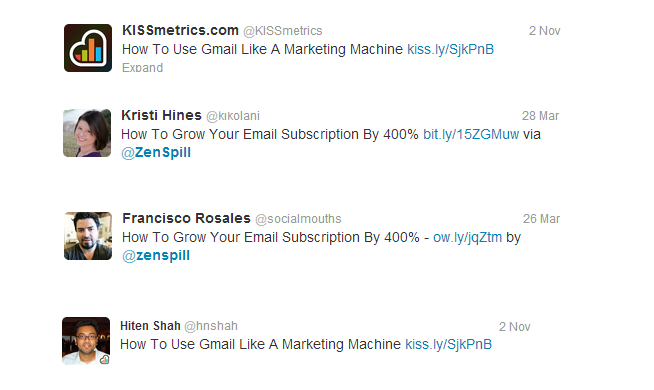 Additionally, an influencer sharing your link increases your chances of having other people to share the link. This increasing popularity means that there’s a huge chance for higher-authority domains to pick up on it and then add it to their site. Either way, influencer marketing boosts your efforts at building a quality link profile. For WordStream, tweeting to several influential journalists and writers about their blog post enabled them to gain a linkback from one of the most authoritative sites: The New York Times. They created an intriguing piece based on a trending and controversial topic, shared the link on Twitter, and mentioned a number of influential journalists in the tweet. The link was retweeted multiple times, making it go viral. 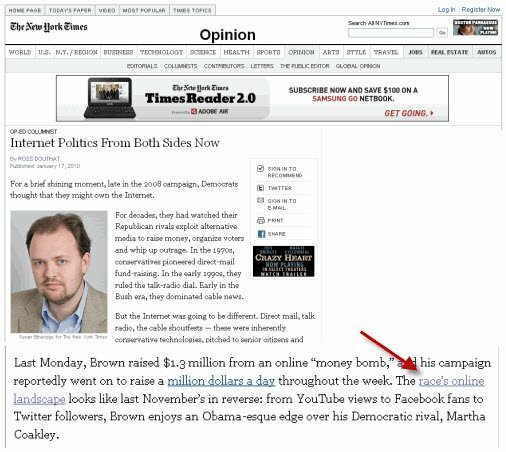 Eventually, the post reached the ears of New York Times editors, through which WordStream received a coveted editorial link. As a result of this, the site received a massive increase in the number of referral sites with a total of 236 links that included references from high-profile domains. Content creation isn’t easy, but it’s necessary for improving your search engine ranking. Not only does Google look at the content quality, keyword usage, and content readability, but it also looks the quantity and quality of social shares. 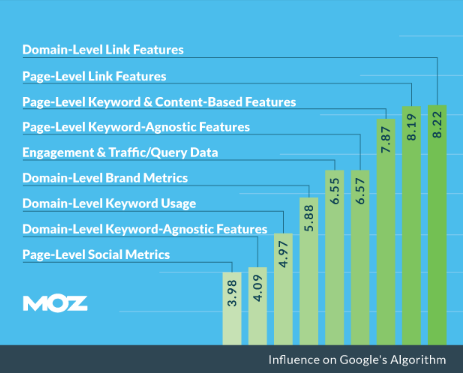 In fact, the previously-cited Moz study ranked this factor among the top nine ranking factors. This means that creating unique and interesting content that your audience will love is a necessity. While coming up with fresh content ideas isn’t easy even for the most seasoned marketers, influencer marketing puts you in touch with individuals whose sole purpose is to produce captivating, shareable content. Influencers can help you create content for your site and create sponsored content on your behalf. In some cases, influencers also encourage your target audience to create their own content with a branded hashtag unique to your business. This means the number of user-generated content increases, and there’s a higher level of awareness about your brand. For Welter Heating, integrating local influencers into their content creation enabled them to increase their number of page views to a significant extent. They created a post that featured opinions of local influencers, including a news anchor, a young rapper, and a local news meteorologist. They also encouraged the influencers to promote the content to their own followers. According to an analysis by TopRank Marketing, there was a 609% increase in traffic just two weeks after the post went live. The site received a significant increase in the number of visits on the day the post was published, as you can see in the graph below. One of the biggest challenges marketers face in digital marketing is finding a way to get heard over the sea of competitors. With engagement and traffic being the fifth most important ranking factor in the Moz study, being unable to achieve that goal means your search engine ranking is going to get affected negatively. But the more you engage your audience, the higher your traffic will be. That’s exactly where influencer marketing trumps all other forms of advertising or marketing. Adweek recently covered a joint study by Annalect and Twitter that found users trust influencers almost as much as they trust their friends. When you partner with influencers, you’re adding credibility to your content and sharing your brand message through a trusted source. As influencers have a massive following and significant reach on their own, they can automatically improve your visibility when they share your content or engage with it. Your content reach becomes much more extensive, which increases your chances of attracting potential site visitors. More website traffic translates to higher rankings in search engines. If you’re raising awareness about your brand or product through an influencer, you’re improving your chances of earning the trust of their existing followers. These followers automatically engage with your brand and create a chain reaction in which they talk about you and share your content. The higher engagement leads to an increase in your website traffic, which search engines take into account when ranking your site. Even one simple share could help you engage an entirely new audience. For Zenspill, having their content shared by influencers in their industry has helped them gain hundreds of new readers. These are some of the most notable impacts of influencer marketing on your SEO, and there could be a number of less visible ways influencers boost your SEO efforts. Boosting your search engine ranking with the help of influencers is both healthy and effective, making it one of the most ideal options for you. Got any more ideas to add to this list? Feel free to share your thoughts in the comments below.